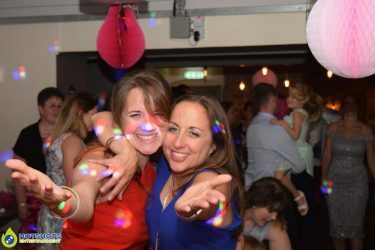 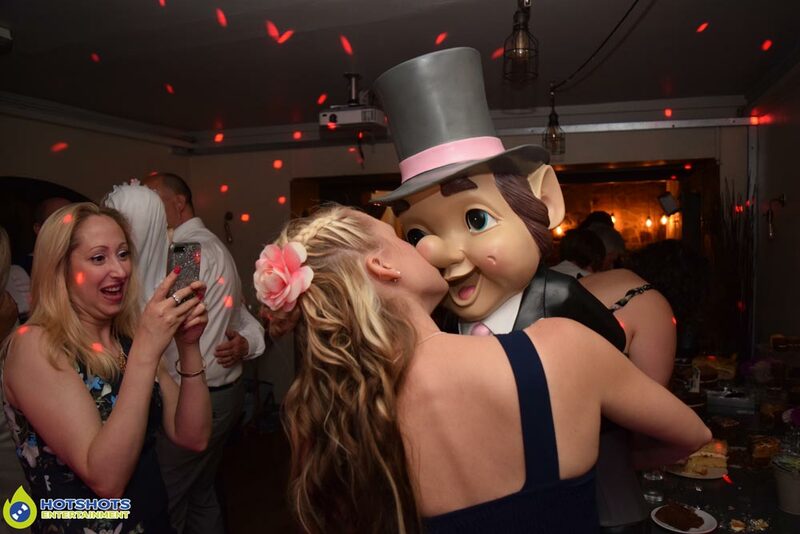 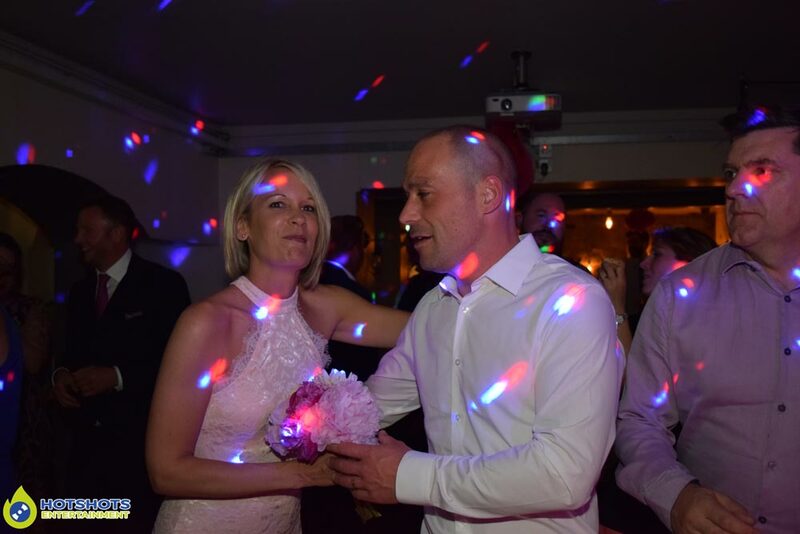 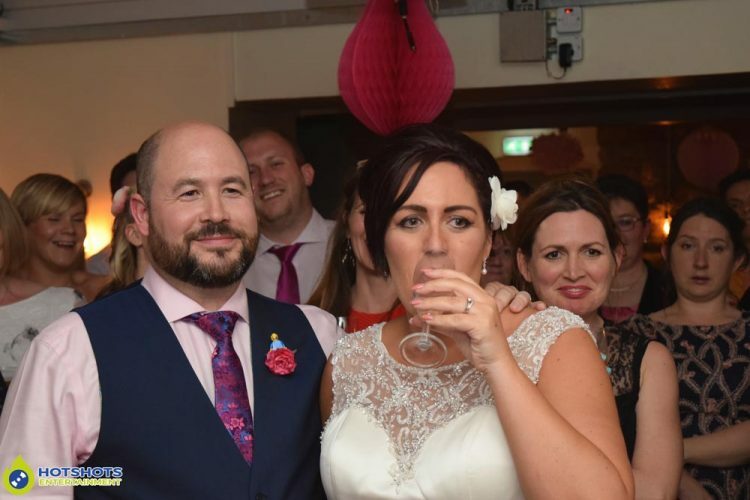 Congratulations to Mr & Mrs Foster who had their wedding reception at the lovely Racks Bar & Kitchen, this is such a lovely little quirky venue on the 3rd June 2017. Hotshots Entertainment was booked in to provide a disco for the happy couple & from the client meeting I knew it was going to be a great night & it was, from the start the guests arrived & had some welcome drinks, it was then time for the BBQ which was amazing as it always is at Racks, everyone was having a nice time eating & chatting, then it was time to do the speeches I handed them a wireless microphone & there were 4 different speeches to be made with some emotional words. 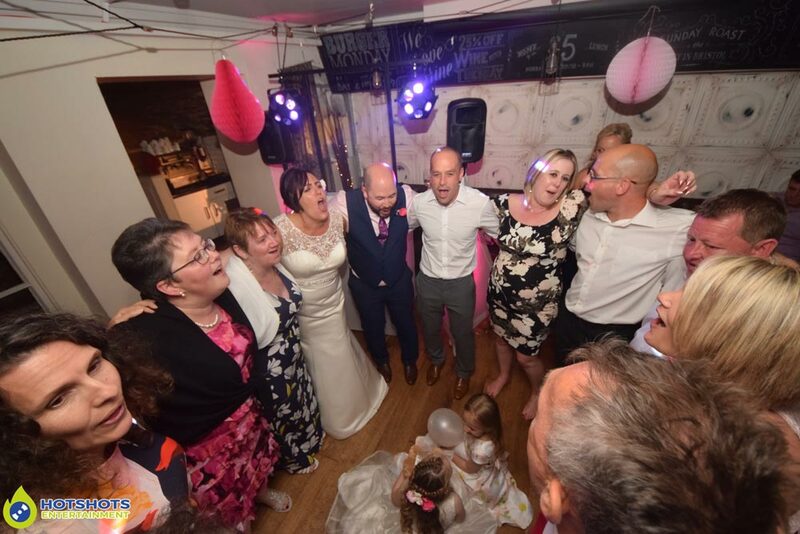 When the speeches first started Ceri’s Dad came out with a megaphone with a siren going off which was funny. 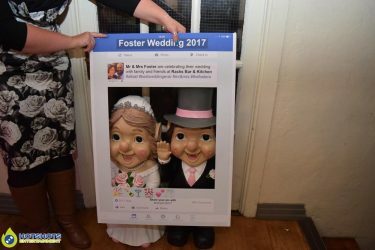 The best men gave Ceri & John their wedding present which was 2 big garden gnomes all dressed up as a Bride & Groom. 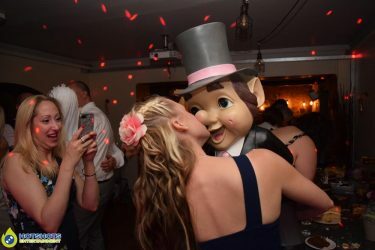 which had everyone giggling. 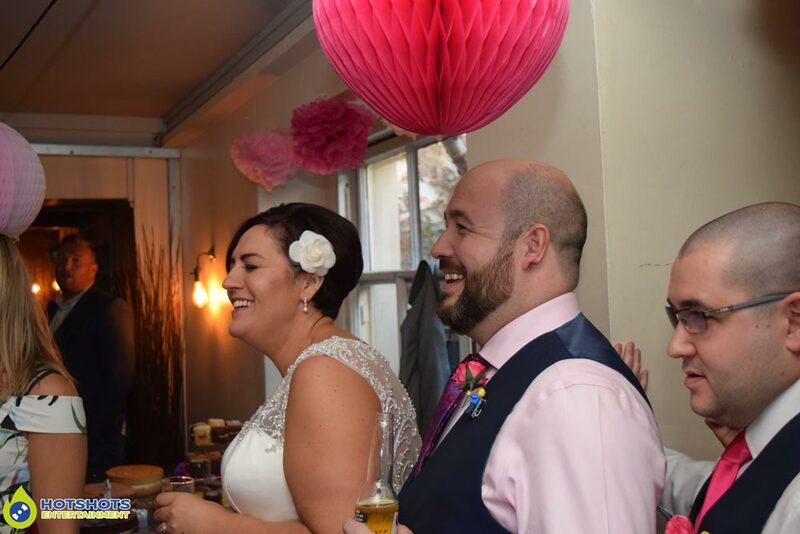 On the wedding cake, there was a Lego Bride & Groom & the Groom & best men had Lego pin holders with cuff links, they looked so cool. 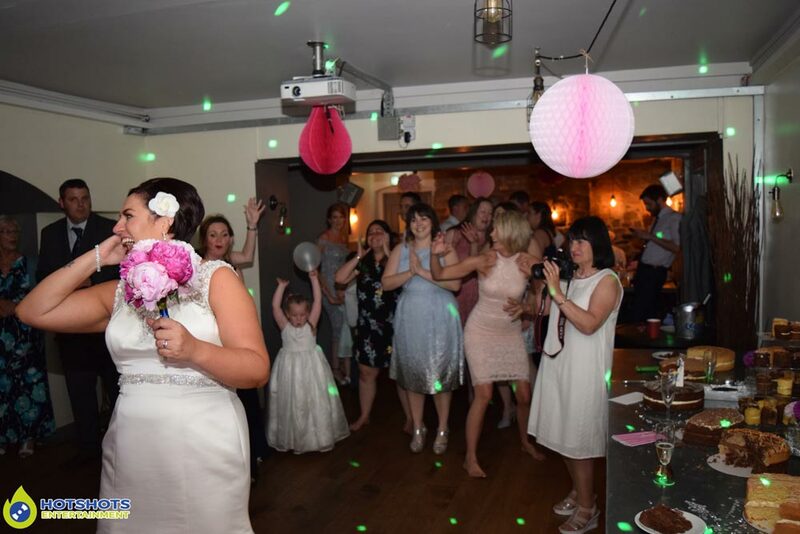 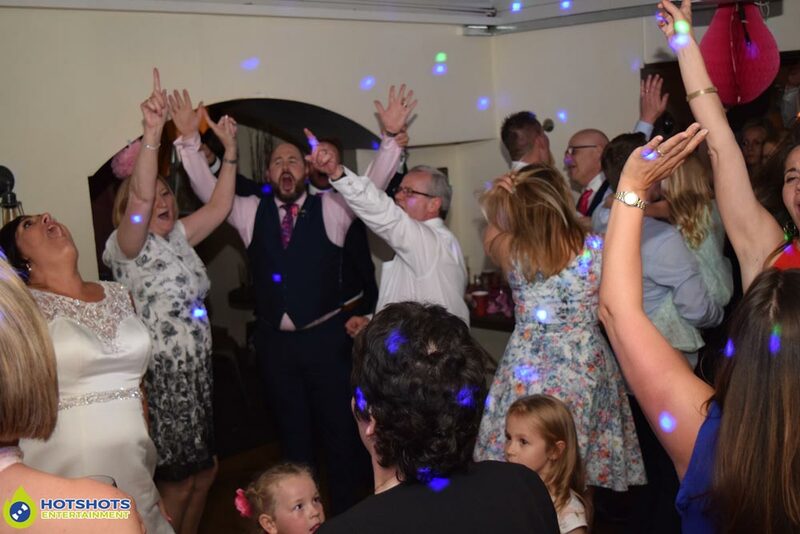 The Ceri wanted to toss the bouquet & all the single ladies lined up to try & catch the bouquet, whilst it was in the air the ladies started to move, but one lucky lady ended up with it & if they get married it will be another Foster wedding on the cards. It was time to cut the cake, in fact there were several cakes there & they all looked lovely (but I don’t like cake) I was asked if I wanted some, but kindly refused. 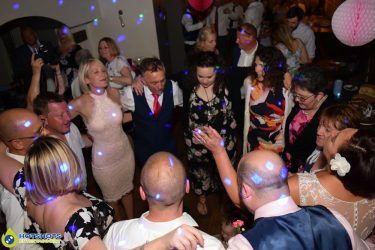 The first dance song was next which was Charlie Puth – One Call Away which I thought was perfect, the evening was full of dancing after, with smiles & laughter, it looked like everyone was having a great time. 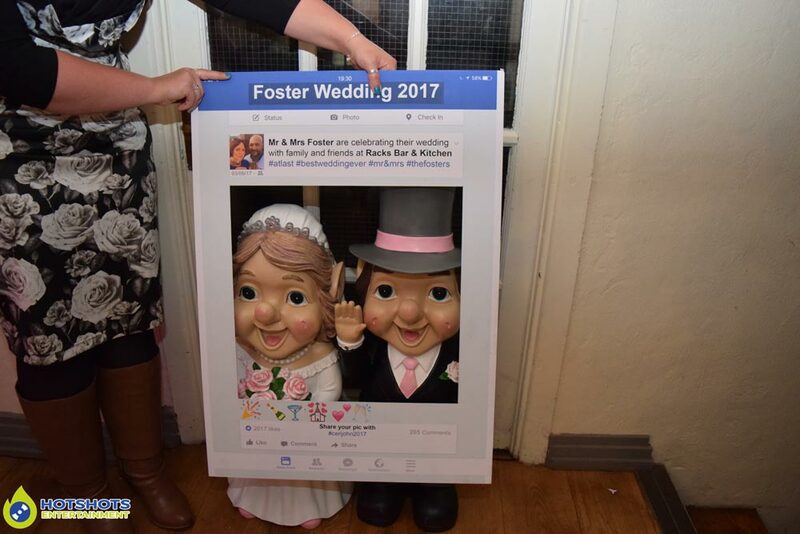 I did take some pictures on the evening you can see a few below & the rest you can find HERE, please tag & share if you dare.